Spring has finally started to show it’s beautiful face around here. The birds are chirping and the smell of fresh cut grass is prominent I adore that smell. We’re also seeing strawberries plants blooming earlier than usual. Is there anything sweeter than fresh strawberries on a beautiful day? 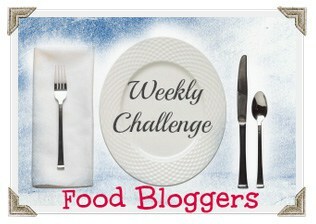 This weeks Food Blogger Challenge happens to be for strawberries so I was excited. Sadly we don’t have any fresh strawberries ready for the pickin’ just yet. I used the next best thing, frozen strawberries, for a delicious strawberry cake. 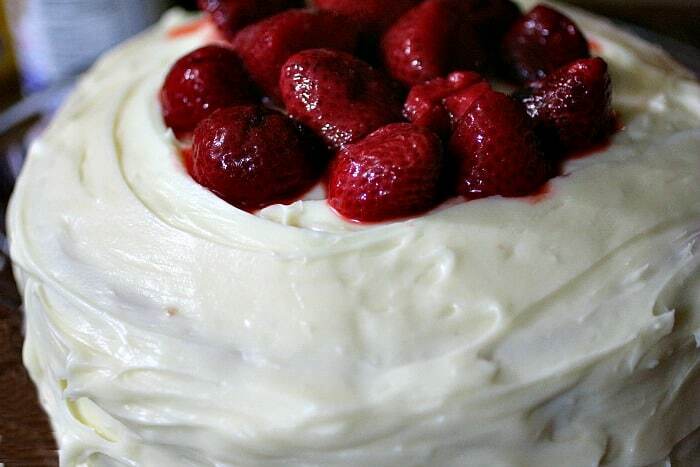 Strawberry cake has to be my all time favorite cake. This is a fairly dense cake, but not in a bad way. I know most people use a preserve or puree when making a strawberry cake, but I have to have those strawberry bits so just half mine. 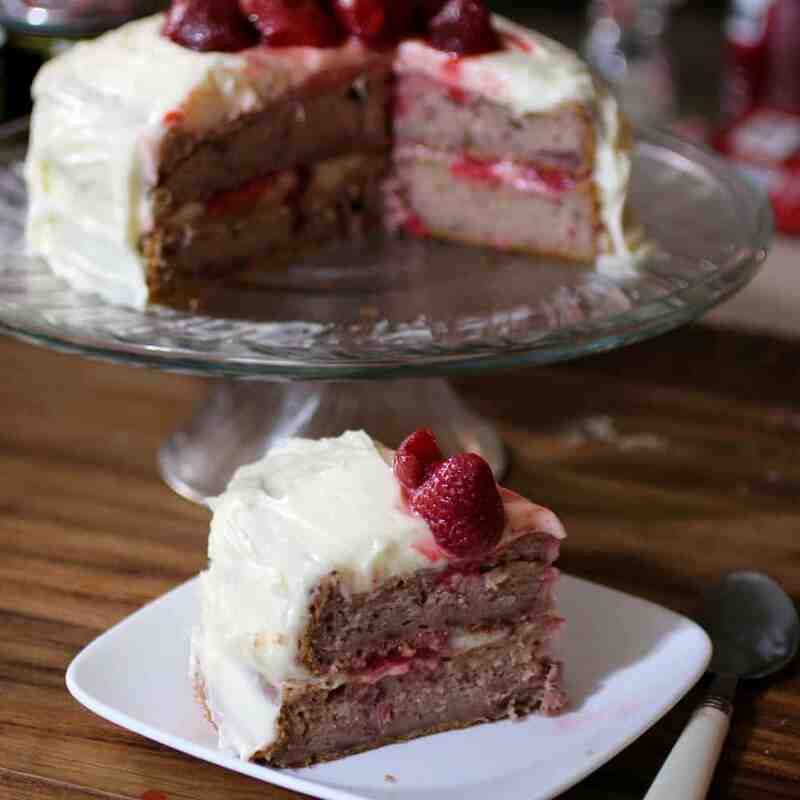 Check out the recipe and make sure you hop along to the other strawberry inspired recipes linked up below. Preheat oven to 350 degrees F. Grease and flour 2 8 inch cake pans. Mix together the sugar and vegetable oil. Beat in eggs and vanilla. Slowly add the flour and baking soda and blend until creamy. Split the batter up between the 2 cake pans and bake for 50 minutes, or until a toothpick comes out clean. Cool cakes on a wire rack and let them come to room temperature. In a large bowl cream together the butter and cream cheese. Slowly stir in the powdered sugar to reach the desired consistency. 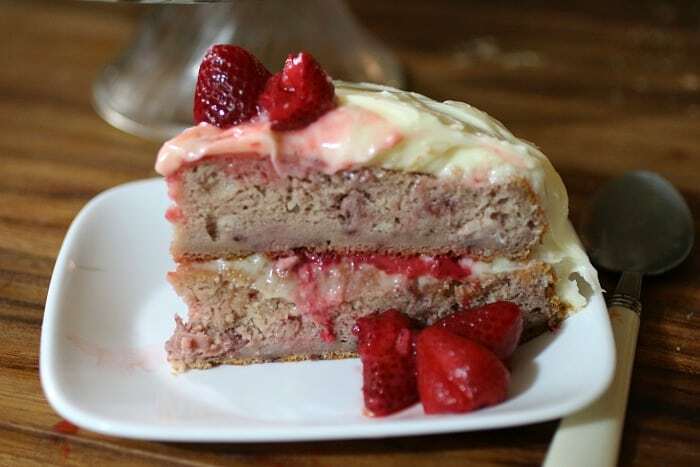 Frost the bottom layer of the cake and spread the sliced strawberries over the frosting. Add the 2nd layer to the top and finish frosting. Garnish with berries if desired. 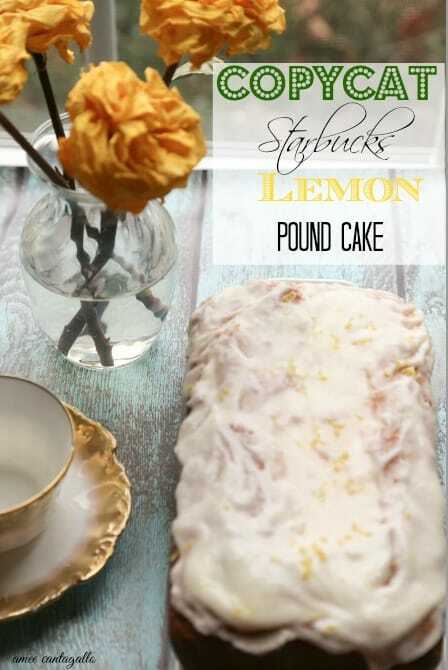 If you asked me what my run to got to have it item is that someone else makes it is Starbucks Lemon Pound Cake. I have it every time I go in there. I just love it. I will say I do not get out as much as I used to so I had to figured out how to get this recipe and then make it at home. I am sure it is something my Grandmother would have loved. This recipe is moist and so wonderful. I can’t tell you how great it smell but it is amazing. I will tell you that the recipe makes two loaves so I do make on and freeze one. I have also been known to make the other one for a friend. I mean who wouldn’t love this. Think of a nice glass of tea or a big glass of milk. It was also the perfect cake to make for the party my daughter and I had. You can see what I did above. I made a little tea party for us! You can only imagine how happy that made her. What’s your favorite thing about summer? If the words carnivals, fairs or festivals were in your answer then you’re going to love what I have for you today. Today is the beginning of the Carnival Foods at Home series that I’ll be sharing all summer long. To kick it off I’ve taken a nostalgic carnival treat and given it new life in the form of bundt cake. There are so many great things about bundt cake, but my all time favorite is icing/frosting them. You don’t have to make it perfect or even pretty for that matter. 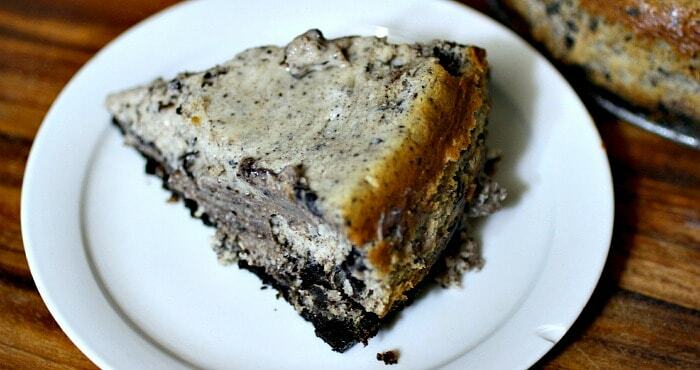 You can simply dump whatever bit of ooey gooey goodness you choose over it. 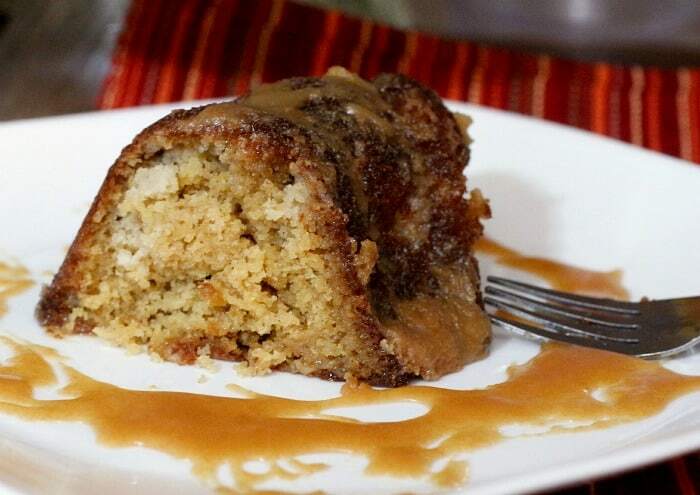 In this case that ooey gooey goodness is in the form of homemade caramel. I dumped it on the plate and let it sit overnight to soak into the cake and give it that out of this world flavor I hoped for. You’d think something this amazing would be difficult to make. In all reality this is so simple, even the caramel is flawless if you use a thermometer (or have experience making caramel already.) Of course you don’t need to dump the caramel like I did, but I wanted it to thicken and harden a bit on the cake to give it that candy like coating. You know, like on a caramel apple – where you bite through it to get that bite of crisp sweet magic waiting beyond that caramel coating. Okay, so I know you’re mouth is probably watering enough by now and you’re ready for the recipe. Here ya go! 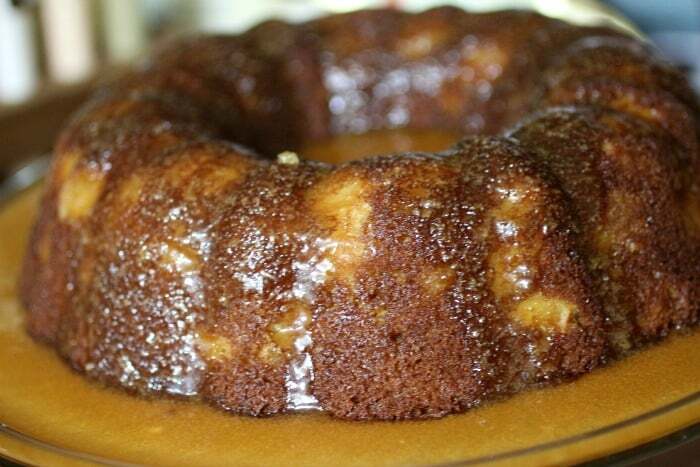 I adapted the cake recipe from Martha Stewarts Cinnamon Apple Bundt Cake. 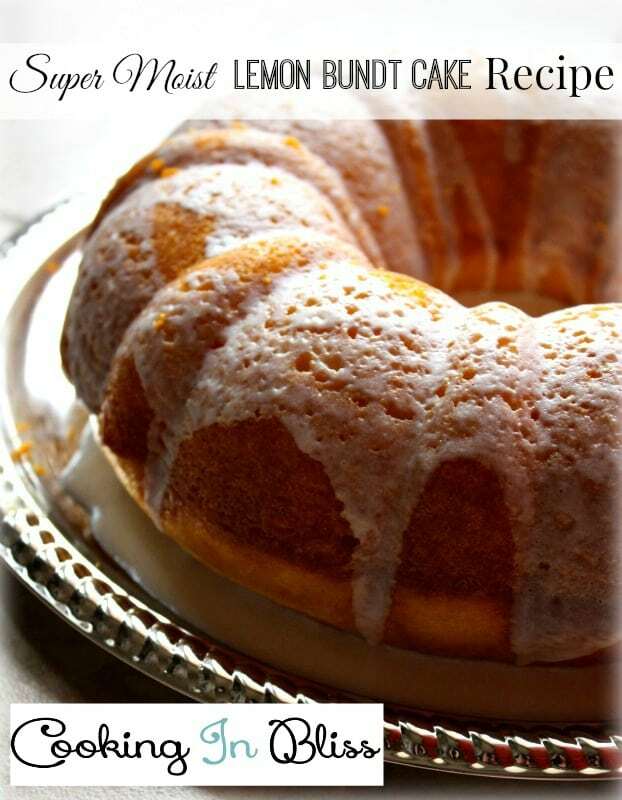 Preheat the oven to 350 degrees F and spray your bundt pan with cooking spray. In a medium bowl, sift together the flour, cinnamon, baking powder, baking soda and salt. In a separate bowl, combine the butter, brown sugar, and eggs. Gently whisk until smooth. Slowly whisk in the dry ingredients until they’re combined. 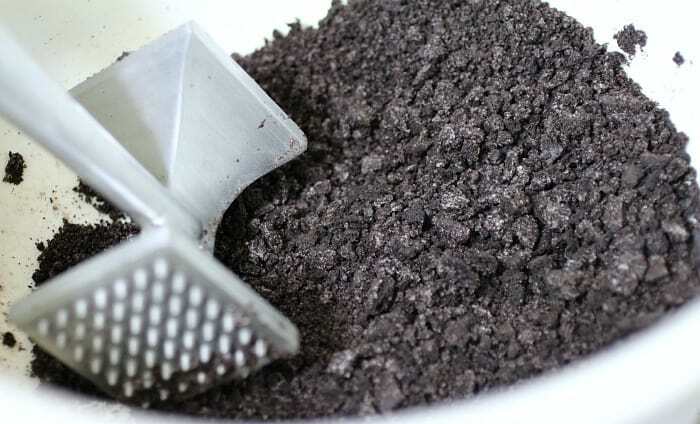 Don’t beat or mix too much – you just want the dry ingredients to incorporate into the wet. Use a spoon to turn the apples into the batter and pour into the bundt pan. Bake for 1 hour or until a toothpick comes out clean. Allow to cool in the pan for 20 minutes and then turn out onto a serving dish. While the cake is baking start preparing your caramel. In a small sauce pan heat the heavy cream over low heat. Add the Sugar and water to a heavy sauce pan. Bring to a boil over medium high heat without stirring. Allow the sugar mixture to continue boiling until it reaches 360 degrees F or a deep amber color. Once the caramel reaches the desired color/temperature remove it from the heat and slowly add the sliced butter. Be careful as this will most likely sizzle and splatter. Whisk for 10 – 15 minutes until the caramel begins to thicken and becomes smooth. Let it cool for 15 – 20 minutes before topping your cake.